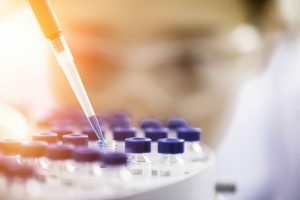 Though the U.S. Food & Drug Administration (FDA) is more tightly regulating U.S. clinics that tout stem-cell trials and treatments for inherited retinal diseases (IRDs) and a host of other conditions, many significant loopholes and enforcement limitations remain. The bottom line is: The FDA has not yet established regulations to adequately protect patients with IRDs seeking treatments from these clinics. If a clinic is charging for a stem-cell treatment or procedure for an IRD, it is probably not legit. The expense to the patient is a major red flag. The FDA has acknowledged that it doesn't have the resources to broadly enforce its new regulations. The FDA is giving clinics three years to comply with its new rules. The FDA lacks clarity in regulations for certain types of cells used by some of the clinics (e.g., bone-marrow stem cells obtained from the patient), which may leave open loopholes. If you are wondering what types of safety risks are associated with these clinics and their alleged treatments, check out our blog post from March 16, 2017: Unregulated Stem-Cell Therapy Causes Severe Vision Loss for Three Florida Women. Keep in mind that many of these clinics also operate overseas, where regulations are minimal or nonexistent. Again, if you have any questions, please contact the Foundation at info@fightblindness.org.